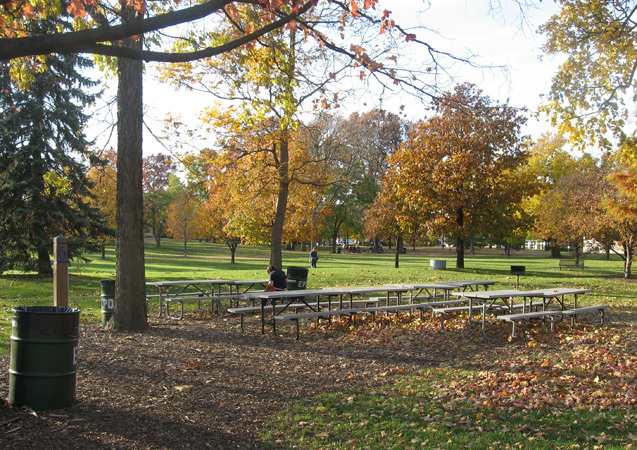 The spacious parks of the Elmhurst Park District offer individuals and groups ideal sites for picnicking. Picnickers will enjoy the natural beauty of the parks as well as the conveniences and facilities provided in various picnic areas by the Park District. 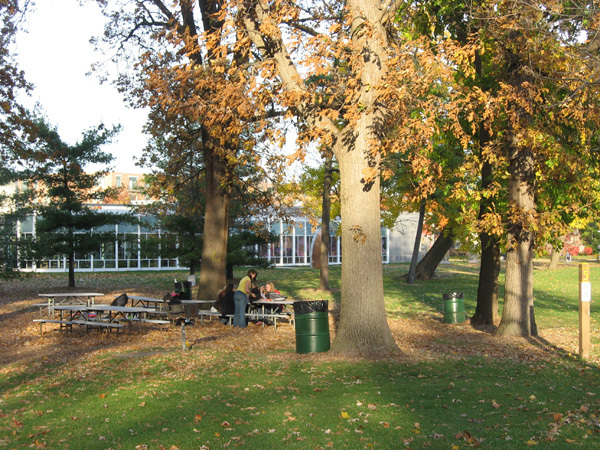 Many parks in the Elmhurst Park District have areas designated for small group picnics. These individual picnic areas can accommodate a family or group of up to eight people. Usually, these picnic areas feature one permanent picnic table on a concrete pad and a nearby grill. Reservations are not taken for these picnic areas - they are available on a first-come, first served basis. Special use permits are required for picnic groups with 100 or more attendees or large-scale events (i.e. craft fair, parade, run/walk, concerts, events with tents/structures, etc.) Applications must be approved by the executive director. A non-refundable usage fee will be charged per priority use as well as a refundable security deposit. You may pick up an application at the Wagner Community Center or at the Administrative Office. The application can be returned to the Wagner Community Center, 615 N. West Ave. or the Administrative Office, 375 W. First St. Call (630) 993-8900 for detailed information. Click here to download the Special Use Permit form. 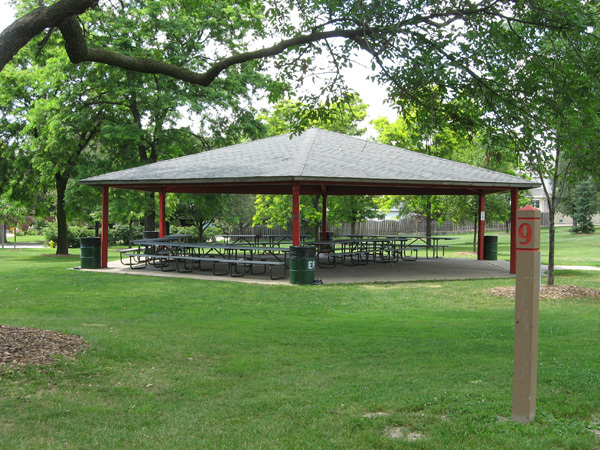 Large group picnic areas are available at Berens Park, Salt Creek Park and Wilder Park. 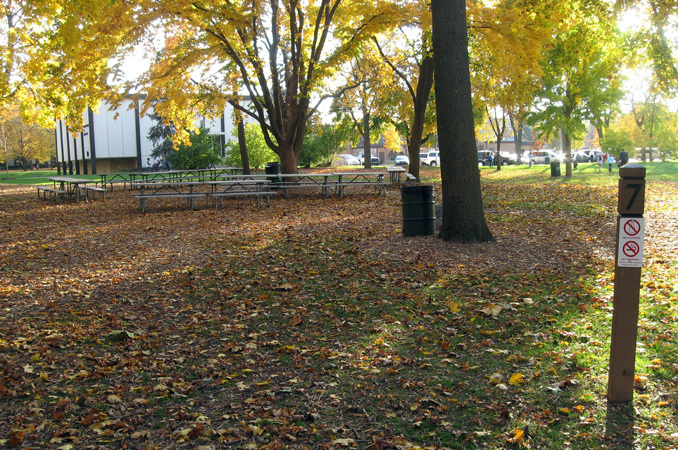 Large groups can be guaranteed exclusive use of designated picnic areas by obtaining a group picnic permit from the Wagner Community Center, 615 N. West Ave., (630) 993-8901. You can also download a Picnic Permit Application and return the completed form to the Wagner Community Center Registration Office. It may not be possible to place every group in the area of their choice because of scheduling conflicts between picnickers, park users and neighboring residents. District staff will work with your group to find a suitable area. 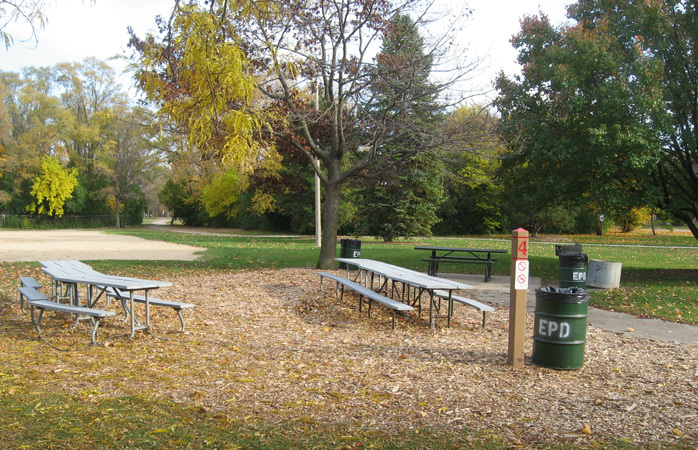 Elmhurst parks provide an excellent locale for school picnics, field days and special events. School Permits are available at no charge for those school groups residing within Elmhurst. The fee for non-resident schools is $35. Authorized name, signature and designation of both the applicant and a school official are necessary when completing the application. Applicable site plans and/or details should be included. A certificate of insurance naming the Elmhurst Park District as a “Certificate Holder” and “Additional Insured” must be attached. Completed forms may be returned to the Wagner Community Center Registration Office, 615 N. West Avenue, Elmhurst or faxed to (630) 993-8929. Requests for large group picnic permits for resident groups will be accepted the first business day in January. Applications will be accepted until 8 a.m. on the third Monday in January and processed by random draw. Once this procedure is completed, resident requests will be processed daily in the order received. Requests from non-resident groups will be accepted and processed beginning the first business day in February. Reservations are only available for large group picnics scheduled from mid-May until the end of October. Stop by the Wagner Community Center at 615 N. West Avenue to pick up a picnic permit application or download a Picnic Permit Application. Permit fees are charged for reserved picnics on Saturdays, Sundays, and holidays. Non-resident groups are charged the regular fee throughout the week and non-resident school groups will be charged $30 for each picnic site. There is no charge for resident picnics (under 100 attendees) held during the week but it is advisable to get a permit to guarantee a location. To receive the resident rate for the permit, the person applying for the permit must be an EPD resident and must be present at the picnic site. Non-resident groups are charged a slightly higher fee. A separate fee will be charged for the picnic shelter at Butterfield and Salt Creek Parks. Refunds will not be issued for cancellation, inclement weather, etc. A Special Use Permit may be required if your group is using a temporary structure (i.e. tents larger than 10' x 10' with tent stakes, stages, bleachers, etc. ), providing special activities and/or entertainment (i.e. pony rides, dunk tanks, etc. ), or having caterers serve in the park, and a certificate of insurance naming the Park District as additional insured must be on file before a permit is issued. 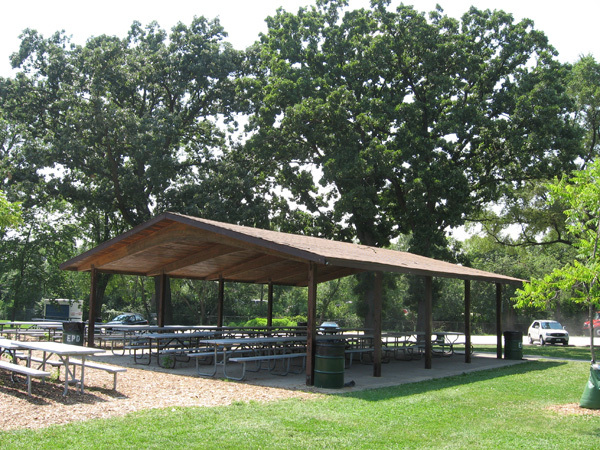 The Park District has established a picnic area carrying capacity for each group picnic area. This carrying capacity (see charts) is the approximate maximum number of picnickers which an area is able to accommodate and the appropriate number of tables, grills, and barrels that are placed in each picnic area. Each large group picnic site is located within walking distance to water and restrooms. To view a slideshow of each picnic area, click on the specific picnic name and location. All rules and regulations must be observed and the directions of the Park District ambassador or his/her representative must be followed. Permit holders are responsible for planning and supervising the event in accordance with District ordinances. Failure to do so may result in withholding future permits, arrest or fines. For rules and regulations for the parks in general, click here: Park Rules and Regulations. Group picnicking is allowed only in designated group picnic areas. A special use permit is required for picnics with 100 or more attendees. Designated picnic areas are marked. Picnic tables are not to be removed from their designated area. Permit holders have priority over groups without a permit. If a group is using a permitted designated area, the permit holder should show the party the permit and politely ask that they vacate the area. If a problem occurs, contact the Park Ambassador at (630) 675-4491 or the Elmhurst Police at 911. Parking and driving are permitted only on designated Roadways and Parking Lots. DO NOT DRIVE ONTO PARK GROUNDS. Alcoholic beverages are prohibited in ALL District parks and facilities. Fires are permitted ONLY in the grills provided in each group picnic area or in portable grills provided by the user. Charcoal grills are only permitted in locations with coal bins. To prevent fires and damage to Property, wood fires and fire pits are prohibited on District Property. Portable grills cannot be placed on picnic tables and must be completely extinguished with the coals placed in the coal bins provided by the District before leaving the site. Campfires, barrel grills and grills with 20 pound or larger tanks are prohibited on all District Property. Litter should be collected and placed in litter barrels before leaving. 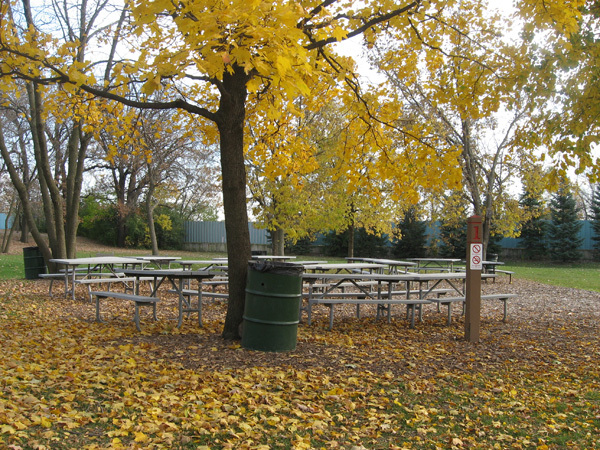 The permit holder is responsible for leaving the picnic area in a clean and orderly condition. You may not be the last picnic of the day. Please be considerate of the next group. Electronically amplified sound is prohibited in District parks. A temporary structure (tents larger than 10' by 10' with tent stakes, stage, bleachers, etc. ), providing special activities (moonwalks,dunk tanks, animal rides, etc. ), or having caterers prepare and serve food in the park will require a certificate of insurance and may require a Special Use Permit obtained from the District. No Person shall smoke a cigarette, cigar, pipe or other form of tobacco or similar substance used for smoking, including smokeless tobacco, e-cigarettes, and unregulated nicotine products on or within 15 feet of District property. Photos and videos are periodically taken of people participating in Park District programs and activities. All persons registering for Park District programs/activities, or using Park District property thereby agrees that any photograph or videotape taken by the Park District may be used by the Park District for promotional purposes including its promotional videotapes, brochures, flyers and other publications without additional, prior notice or permission and without compensation to the participant. The park ambassador will be on duty from April through October to assist residents within the parks, monitor park policies and oversee activity at the picnic areas. You may spot a park ambassador in uniform (bright red Park District shirt). For information about the program or to speak to a park ambassador regarding park issues, call (630) 675-4491 or e-mail parkambassador@epd.org.